If you have an old cellphone lying around collecting dust because nobody uses it anymore, it may not be as worthless as it seems. Just like T-Mobile, Verizon, Sprint, and RadioShack, Amazon has decided to join the party and has now started to accept electronics through its trade-in program. People can get rid of their old cellphones, digital cameras, or other gadgets, and get some store credit in return (to spend on other gadgets, we assume). As one would expect, the value of the device being traded-in depends on its condition, but as long as the thing works fine, Amazon would accept it and take care of the shipping costs. Here are a few examples: a Nokia N8 can fetch up to $175, a Nexus One may be worth up to $130, and an iPhone 3GS may bring you up to $235 worth of store credit. In some cases, you might be better off putting your cellphone for sale on eBay, but nevertheless, it is still advisable to see what Amazon is willing to give you for it. 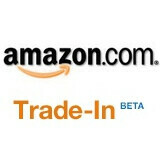 The list of cellphones that Amazon accepts for trade-in does not seem to be that extensive yet, but we hope to see more and more devices being added soon. If you manage to get a good deal on an old handset through Amazon, do not forget to share it with us in the comments!